Ships tomorrow if ordered in the next 1 day, 14 hours and 48 minutes! 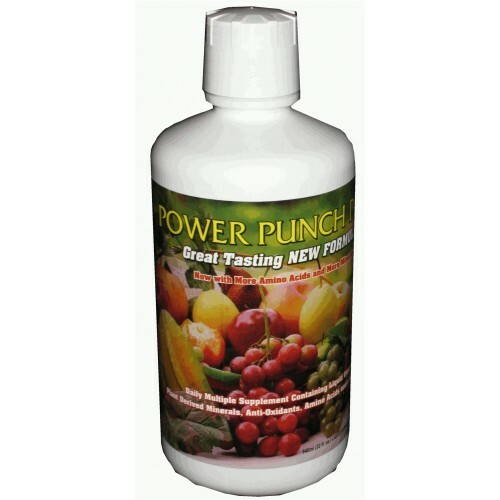 Power Punch Plus is the perfect all in one vitamin and mineral nutritional supplement for todays active people. Power Punch Plus is a truly unique liquid supplement because 30ml contains nearly every daily nutrient required for sustained health. This is the perfect all in one nutritional supplement for todays active people. Including up to 72 Plant Derived Colloidal Minerals, Vitamins, Amino Acids & Herbal Blend Power Punch Plus contains a complex spectrum of up to 72 naturally occurring prehistoric plant derived minerals and trace elements in an exclusive Phytogenic blend, which are incorporated with vitamins, herbs and other nutrients in this great tasting product. Along with the plant derived colloidal minerals it contains 13 vitamins, 12 amino acids, and an amazing variety of beneficial herbs. Also with Folic Acid, Biotin, PABA, Green Tea, Grape Seed Extract, Gingko Biloba, and Hawthorn Berry. Power Punch Plus comes in a great tasting Natural Peach Flavour, suitable for both adults and children. 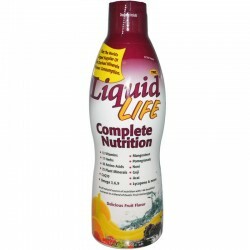 Just one ounce (30ml) per day will provide you with virtually all the required daily nutrients for protracted health. Please note that the plant derived minerals contained in this product should NOT be confused with the inferior metallic which come from clay, ground up rocks and soil, or sea water. Why are plant minerals easier for the human body to absorb and assimilate? Plant minerals are water-soluble and have been broken down, digested or assimilated by the plant. Metallic minerals, on the other hand, are metals and very hard for the human body to breakdown. These types of minerals are from ground up rocks and soils. Many nutritional experts believe no more than 8% of metallic minerals are digested or assimilated by the body. They say the balance, or up to 92% of a metallic mineral, merely passes through the waste system without benefits. Do all so-called "Colloidal Minerals" come from plant sources? No! Some colloidal minerals on the market today are metallic minerals, which have been broken down with hot water or citric acid into a small colloidal size. Metallic colloidal minerals require complete digestion before any nutritional value is released and the normal digestion cycle of the human body is from 15 to 21 hours. The word colloid relates to size and size only. The definition of a colloid is: "Anything which has been broken down into its smallest divisible part whilst still maintaining the same characteristics of its whole". If our mineral deficient soils in effect cause us to be sickly today, what will happen to our future generations? This is a good question and one that needs to be addressed worldwide. Think about this! Our world did not attain a population of 1 billion people until 1865. We reached 2 billion by 1925. We doubled again to 4 billion by 1975. Today there are about 6 billion people on earth with a prediction of 10 billion by 2040. Basically this means the population on earth has multiplied ten times in about one hundred and seventy-five years. During this period the minerals within the top eight feet of the earth's surface continued to be less and less each year. Frankly, this leaves our great grand children in a terrible mess. Something must be done, especially if the world growth continues at the same rate. Our prediction - should this occur, - the bright people of the world would finally concede that a complete spectrum of minerals is a necessity to sustain life. 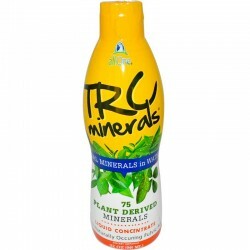 Other Ingredients: Purified water, Plant Derived Mineral Complex (Contains upto 72 naturally-occurring minerals and trace elements in an exclusive Phyogenic Blend derived from an authentice source of prehistoric plant deposits including Calcium, Magnesium, Chromium, Boron, Cobalt, Potassium, Manganese, Molybdenum, Chloride, Vanadium, Lithium, Silver, Zinc, Copper, Phosphorus, Sulphur, Silicon, Nickel, Iron, Iodine and Tin), Fructose, Natural Peach Flavour (Kosher, Vegan, Gluten-Free), Potassium Sorbate (retards spoilage). Contains 77 plant derived colloidal minerals, 13 vitamins, 17 amino acids! Give your body the nutrition it deserves! My daughter had an undiagnosed illness from aged 8, after many years of being told by the NHS there was nothing wrong we started looking to the private sector. We found Dr John Ogden in Sept 06, he correctly diagnosed my daughters illness as ME and amongst other homeopathic treatments he highly recommended "POWER PUNCH PLUS".